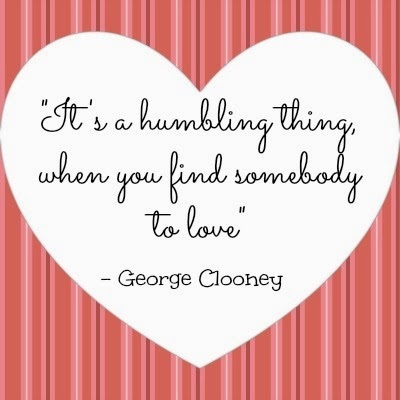 On Tuesday, my husband called me at work to tell me that he had just won a sweepstakes. He was the runner up, but the original winner backed out because they couldn't travel so the prize was now his. On Friday morning, we got on a plane to Phoenix, Arizona and tomorrow... We are going to the Superbowl! Bud Light is taking excellent care of us for the weekend. Our Bud Light #UpForWhatever prize includes Superbowl tickets, $250, airfare, 3 nights hotel, breakfast, happy hour, plenty of Bud Light and Under Armour #HouseofWhatever shirts, hats, and backpacks. All this just for a quick sweepstakes entry! Follow me on Instagram to see pictures from my Super Weekend. 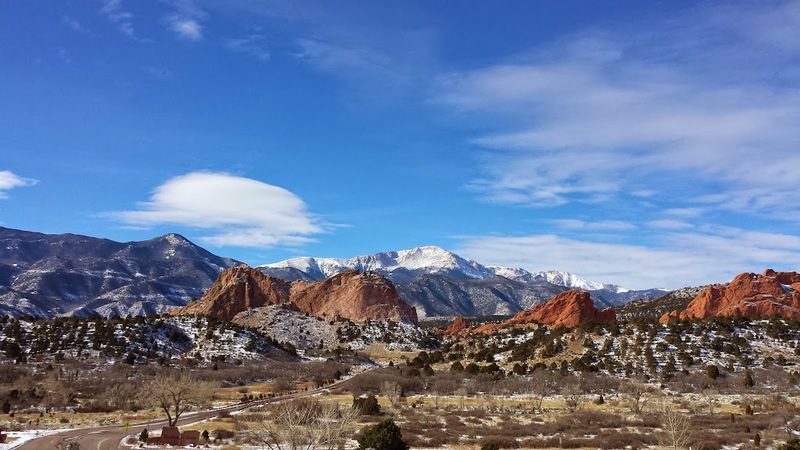 Last week, I went to Colorado for an interview. I didn't get the job, but I did have a nice little trip. 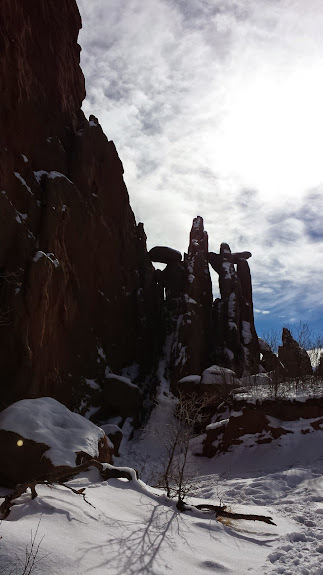 I tried to make the most of my time there with a walk around the Garden of the Gods. 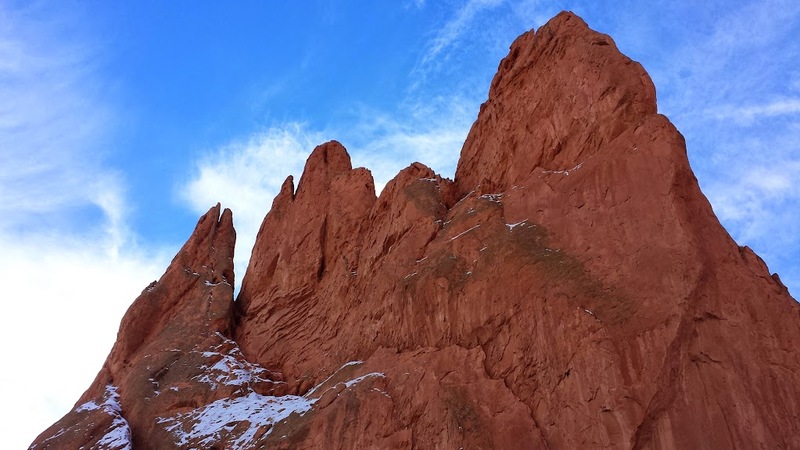 Garden of the Gods is a free park in Colorado Springs, Co. You can drive your car through and there are various parking areas to get out and walk around. 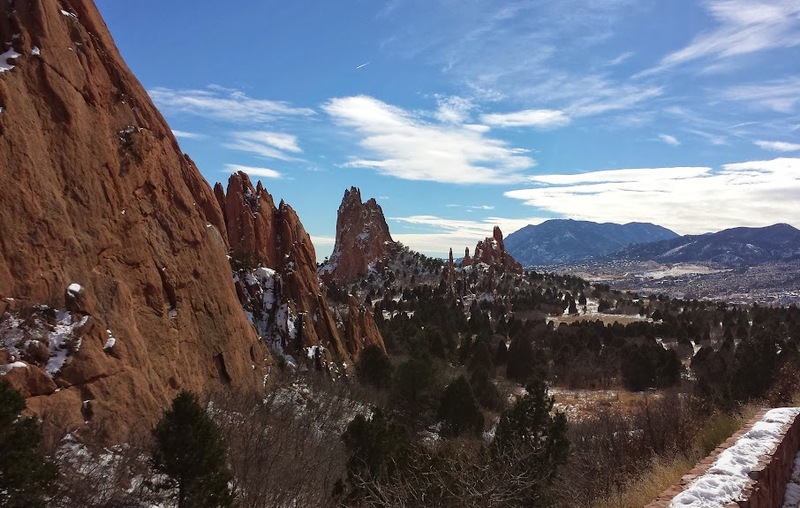 There are also several hiking trails with great views of Pikes Peak and the rock formations. It is a truly beautiful place. I felt so at peace in the fresh air and amazing scenery. Music Monday, Songs That Help Me Relax When Flying. I just got back from a quick trip to Colorado. 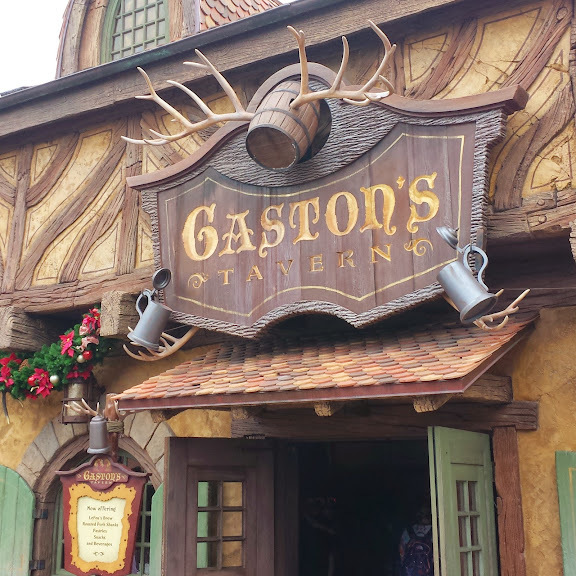 I love to travel, so even though it was just a couple days, I tried to make the most of it by seeing some sights and eating some good food. When I fly, one thing I have to have is my music. Music helps me relax and try to forget that I'm uncomfortably squeezed into a tiny seat so I can enjoy the flight. I like a variety of music so what I'm in the mood for usually changes, but I tend to want to hear some of the same songs when I'm first taking off. Since it's Music Monday, here's a few of the songs that help me relax when flying. What songs do you listen to when you're travelling? I always wanted to have Disney passes, so in 2014, we got them. It was a great year, but our pass holding time is coming to an end this week. Depending on how things go, we will either be taking a year off, or we will be moving out of Florida, and won't need Disney passes. I have very mixed feelings right now. 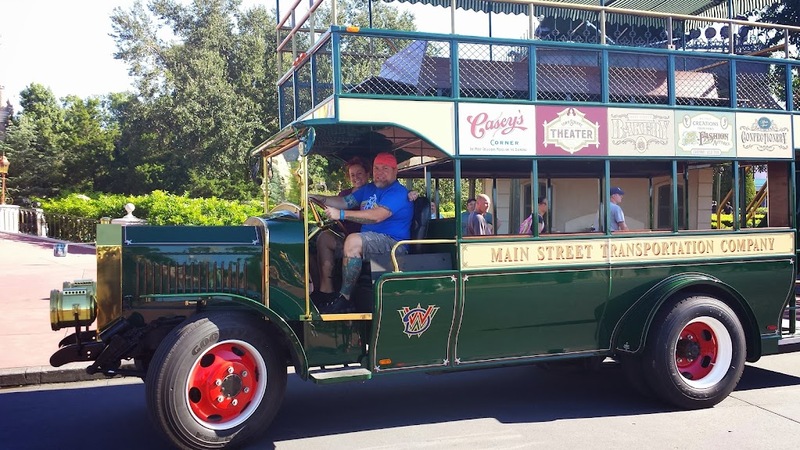 We are facing some unknown, but what I do know is things will happen as they should, and whether it was our last year with Disney or the first, it was incredible! Disclaimer: This review is formed of personal opinions and is in no way endorsed by Erin Condren. Erin Condren is NOT responsible for the giveaway in any way. This is a random act of kindness on behalf of Lauren Stauffer & The Stauffer Home. Co-Host Super Frugal Stephanie is not responsible for the giveaway item. I was not familiar with Erin Condren until I was asked to help support this giveaway so I can't provide a review of the products. However, I can tell you that these are some of the coolest most vibrant designs I've seen for planners. 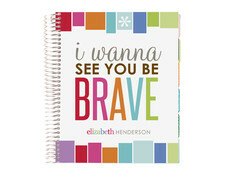 I really like this "I Wanna See You Be Brave" planner because I adore the song and the font on this is so pretty. 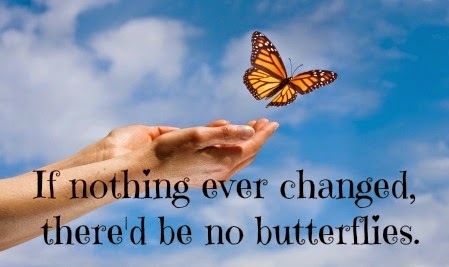 I was just telling my husband how motivating that song is, so seeing it on my planner everyday would be sure to inspire! If you win the giveaway you don't have to pick this one, it's just the one I would go with. (If you have a planner already you can still enter, you can choose an address book or wedding planner!) Oh, and there are over $150 worth of other prizes to win! Potpourri adds such a sweet smelling, decorative touch to a home. It’s even better when you can use potpourri to make a decorative heart to express your love for someone on Valentine’s Day or any other time of the year. Here’s how to make a quick and easy potpourri heart. It's the first Music Monday of the new year. I'm excited to see what 2015 brings for music, but for now I'm still hanging on to some songs from last year that I can't get enough of. Here's a few newer ones that I can listen to over and over again. The first song is Take Me To Church by Hozier. Hearing this song made me checkout more songs by Hozier, and create a radio channel based around his sound! 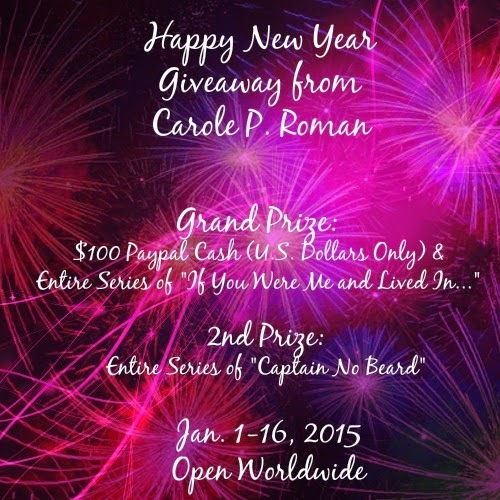 #HappyNewYear2015 #Giveaway for Carole P. Roman $100 Paypal Cash & Books! 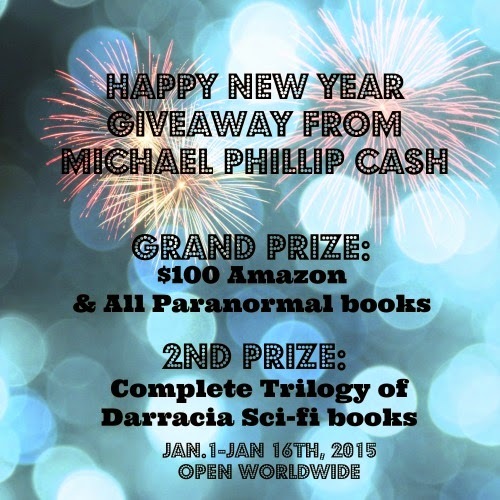 It's a new year and with it comes an awesome new giveaway! This New Year giveaway has an awesome prize. $100 Paypal can help you get your year started off right, and it comes with some great books too! Read more to find out how to enter to win. 2015 is Here, Let's Make the Joy Last Through the Year! Happy New Year, 2015! 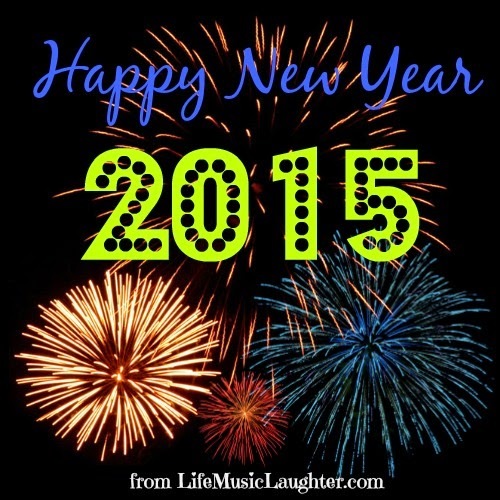 I hope the new year brings you health, happiness, prosperity, and of course, lots of good music!